After a cheery week (not) when I’ve written more than once about the perils and pitfalls of UK residential property investing and ownership, here’s something which is hopefully a bit more cheery for a Friday. Via Twitter, the fount of all knowledge, I found this fabulous, arty website which the photographers amongst you will really appreciate. Its called The Burning House and if you visit, you’ll see it’s self-explanatory. What would you take with you if the house were on fire and can you take a cool photo of it and get it featured on their website? I had a go and even entered into correspondence with them but being middle aged and rather non-techie, I couldn’t work out how to size up my photo to their requirements and they quickly lost interest in my submission. Fair enough. Anyhow, I thought I’d share my photo with you anyway, since I’m rather proud of it. I hope you enjoy it and all those other beautiful photos on their site. Genius idea for a website methinks, yes? 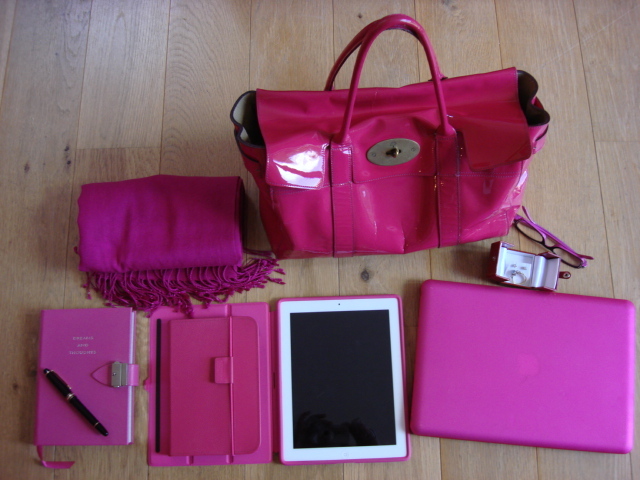 Those of you who know me will recognised all my most treasured possessions: a pink pashmina, Mulberry handbag, my mother’s engagement ring, my diamond earrings, pink spectacles, a notebook and fond gift of a Mont Blanc fountain pen, my iPad, MacBook Pro and Kindle. Gadget heaven. Gotta keep connected, even though I’m outdoors, my house is on fire, and I’ve not saved anything useful like clothes and even forgotten my passport.